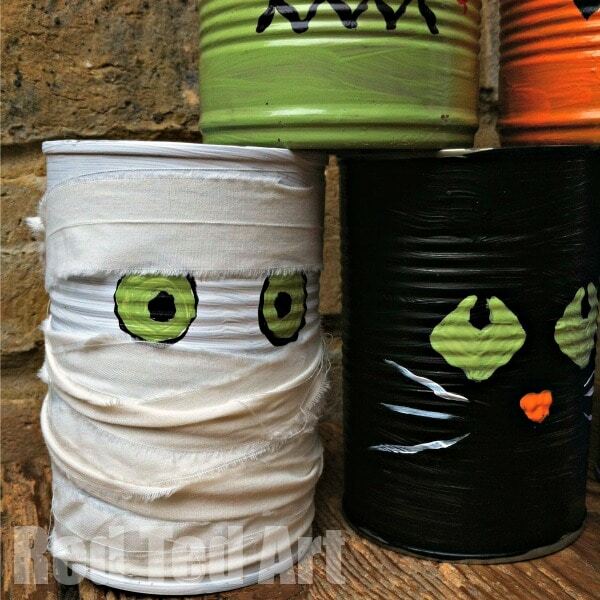 Come find us over on Party Delights for some fun fun fun Halloween Tin Can bowling. 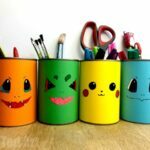 We had Great fun making this set of ghoulish (or maybe just a little bit cute?!?! 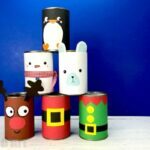 Tin Can characters!). 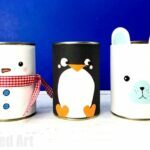 I love this project, as it takes your old “tin can”, that you were going to throw away and you get to upcycle it into a fun tin can craft and game (more fun Halloween Games here). 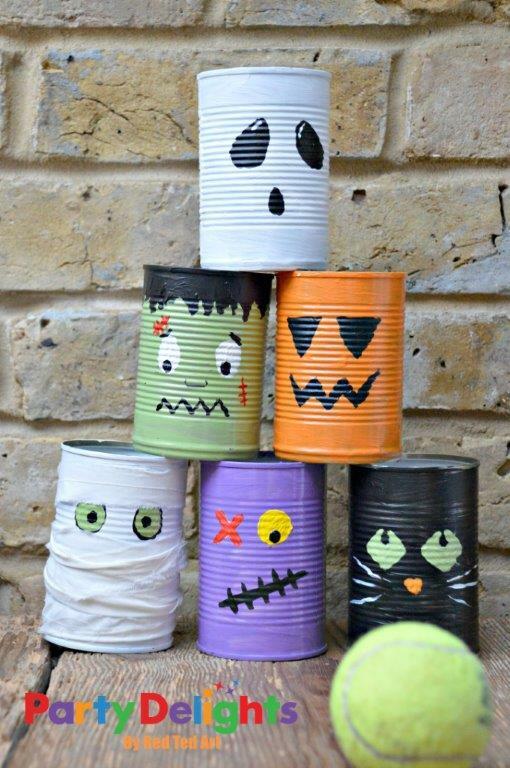 You can vary it by how you decorate your tin cans.. you can add numbers to the back of your halloween cans and get the kids to practice their adding up skills or, you can also use them as pen pots (I confess, we have done this with a couple of them). 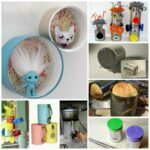 Simple to make, lots of possibilities of play and use! 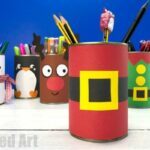 And Red Ted was so excited, he sat down to make some more.. once we finished playing with our Halloween Bowling Game.. we decided to turn these in Halloween Tin Can Pen Pots! Woohoo! 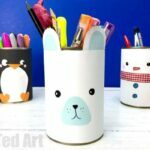 Red Ted LOVES them! 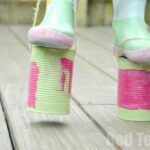 I used enamel paints, a little does come off over time… if you want to seal it, you can use a varnish to seal it in. What is the color of the green? 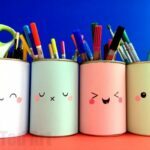 Can you use acrylic paint?